we are Thorsten and Sabrine. 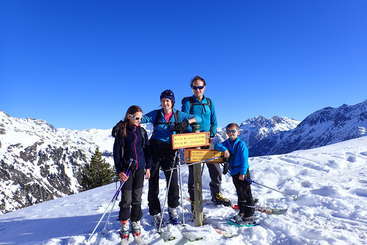 We emigrated few years ago from Switzerland to France and live in a very secluded little paradies with our animals. 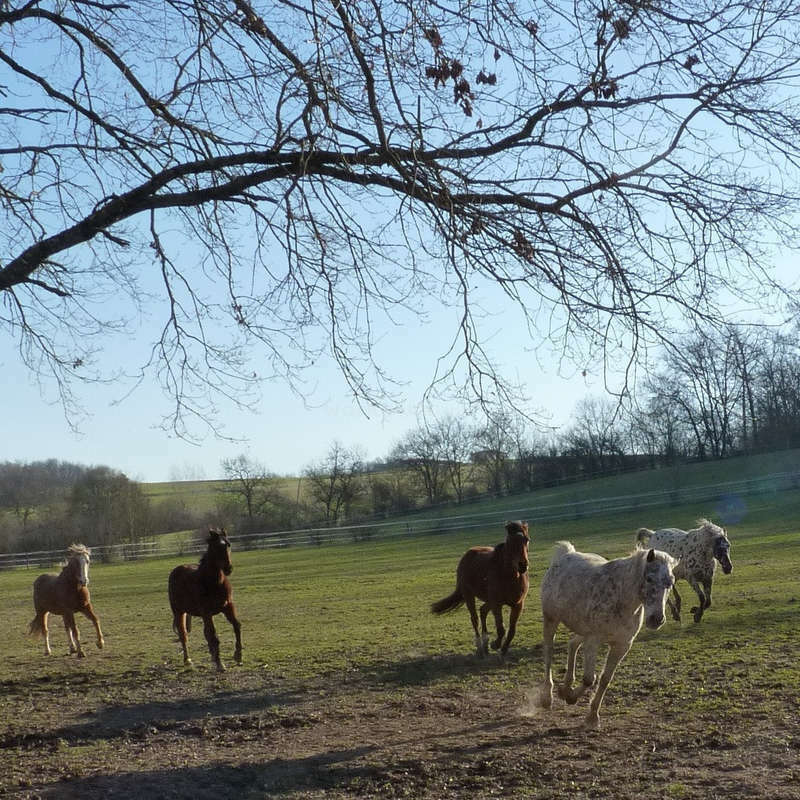 Thorsten works in the aviation business and I take care of our little farm with 5 retired "pension" -horses (they are originally from Switzerland, they enjoy now their retirement here in SW France). We have two Knabstupper mares of our own and occasionally they will have foals. They are all very relaxed, peaceful and friendly - perfect for somebody who would like to get (back) confidence around horses. Our family is completed by 3 gorgeous dogs, 5 adorable cats and 9 charming chickens. I can transmit everything I know about horses with an ethological approach in respect of the animal. I do have a diploma of the Swiss Stud (Haras National) and can learn you everything which has to do with horsekeeping including medical issues and feeding guidelines. But I will not teach riding lessons. - everything that has to do with horse keeping: feeding, cleaning the stables and the tackroom, fencing, brushing the horses, hay making and maintaining the 6ha of pastureland. - Another daily task would be taking care of our chickens. If you are a very good, horseminded rider you could also help with educating my Knabstrupper horses. They are used to saddle, know the basic things, but they need a lot of exercise. I do ride bitless and with the sense of natural horsemanship (eg Pat Parelli, Linda Tellington-Jones, Michael Geitner, Alfonso Aguillar...). I cannot garantee you that you can ride my horses, it depends on how good you ride and also upon your weight. You would stay on your own in our small guesthouse few meters away from the main house. It has a small living room with a kitchenette (incl. refrigerator and cooker), a bedroom and you have your own bathroom with toilet, douche and a small bathtub. And there is your own washingmachine. I can accomodate two Workawayers at the same time. But mormally we prefer to have one workawayer at a time or a couple. Breakfast food would be equipped in the guest house so breakfast has to be prepared on your own (because I don't eat any breakfast). Lunch and dinner would be at the main house together with us. Special diaries are no problem: so if you are vegan or vegeterian or ... - just tell me. I am also nearly vegeterian only few exeptions. Our place is quite remote and there is no public transport. It is very quiet and calm. You must love nature and animals. I really like to mention that we are looking for a gentle & careful person, rather calm. Not a kind of "pampam" person. Thank you. Five stars for Miriam for sure! Miriam is the kind of work awayer you don't want to leave! She is doing everything with a smile and open to help in any job and she will do it very well and precise. She is very uncomplicated and I like her attitude a lot. She is carying, soft and nice with the animals and really a very real nice energie to have… read more around. I have stayed at the farm for 4 weeks from January to February 2019. I really enjoyed every single day there und I can highly recommend this place. 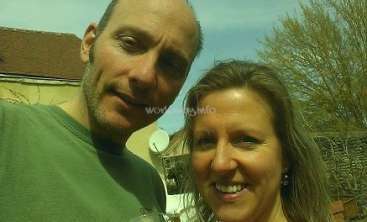 About the people: Sabrine and Thorsten are very friendly, calm and caring people. They always made sure that I was happy and they supplied me with everything I needed. We spoke German but it it was an… read more advantage that I could speak French and English with their neighbours, friends and with workers who came over. When we shared the meals together in their house we had interesting and funny talks. The meals were always delicious and healthy (especially the self-made bread and pizza). I also learnt a lot about nutrition and minerals. They even took me with them to visit neighbours and friends. I really felt part of the family. 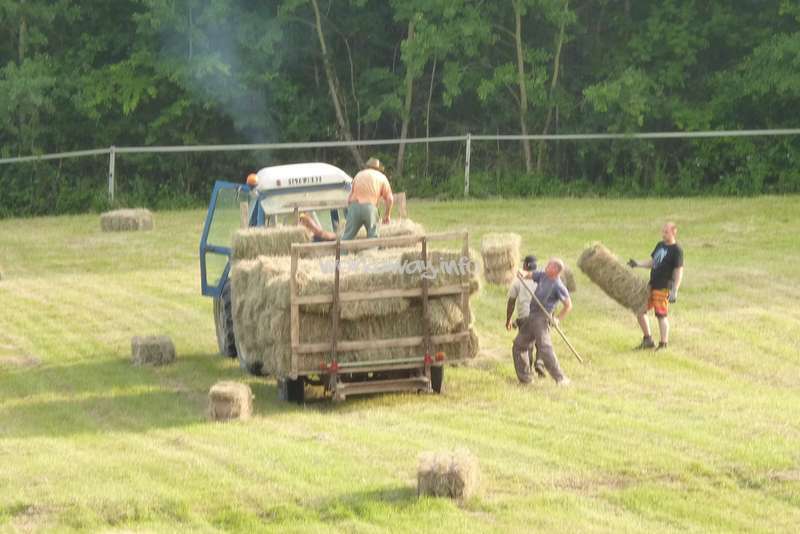 About the work: In winter, it wasn't very busy on the farm and the tasks were easy to manage. I had fun working around and with the animals and I enjoyed working on my own in a calm environment. My tasks were: cleaning the stable or pasture, feeding/ rugging/ giving medicine to the horses, cleaning the chicken stable and feeding them and sometimes helping with grocery shopping. About the animals: All animals live a peaceful, healthy and happy life on the farm. They are all well cared for and treated with respect. Dogs and horses are very well behaved and calm. This is a perfect place for real animal lovers who are interested in natural keeping and handling of animals. I didn't ride the horses, but I learnt a lot about Natural Horsemanship, Equikinetic and body language of horses in general. About the location: The farm is (as described by the hosts) in a remote area. This wasn't a problem for me because there was sufficient wifi-connection, Sabrine has plenty of books to lend you and there was a television in the guesthouse where you can watch DVDs. The weather in winter can be rainy and cold, but in the guesthouse and in the main house it was always nice and warm and Sabrine lent me additional clothes. However, I will come back in summer to benefit from the hot climate in southern France. The guesthouse is big, supplied with everything you need and cosy- a real luxury for workawayers. Thank you for my first farm experience (on workaway), I'll miss you and I'll come back. Thank you Sanna for helping me on a short term notice, thank you for all your work. It was just a very short time here, but I really appreciated all your work. I hope it was a great pleasure to see your doggy back home again which you missed so much. My 2 weeks here were amazing. I couldn't have felt more at home than I did in the little cabin. The area was beautiful and all the animals were so friendly and I miss them already! Thank you Sabrine and Thorsten for an amazing experience! Corinna is a very warm hearted, lovely women - it was a great pleasure having her here at our farm. She can feel the needs of the animals is very gently and respectful with everybody. She always fullfills the tasks with the reasonable care and with all her sensitiveness. 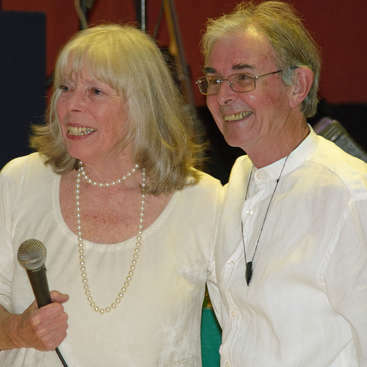 To have Corinna here at our farm was really magnificient, both of us matched… read more together in perfect harmony. And as I said not only the two of us - also with all the animals. 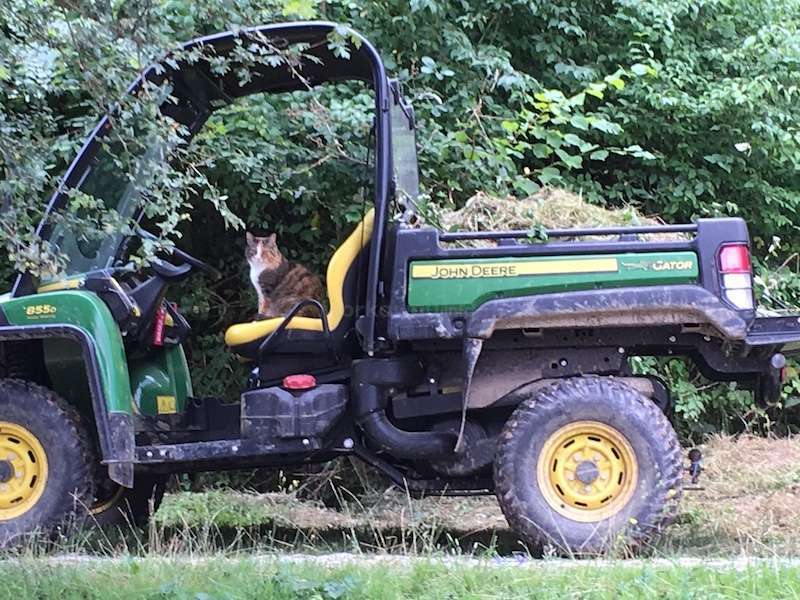 To match with our animals is the most important thing for me, but in addition she was also an excellent helper, every task was done perfectly and she never checked the time. This was my first workaway experience, and I can't imagine a better start. Sabrine and Thorsten are incredibly warm and generous hosts, and they really made me feel welcome from the moment I arrived. Their kindness shapes the atmosphere on the whole farm. 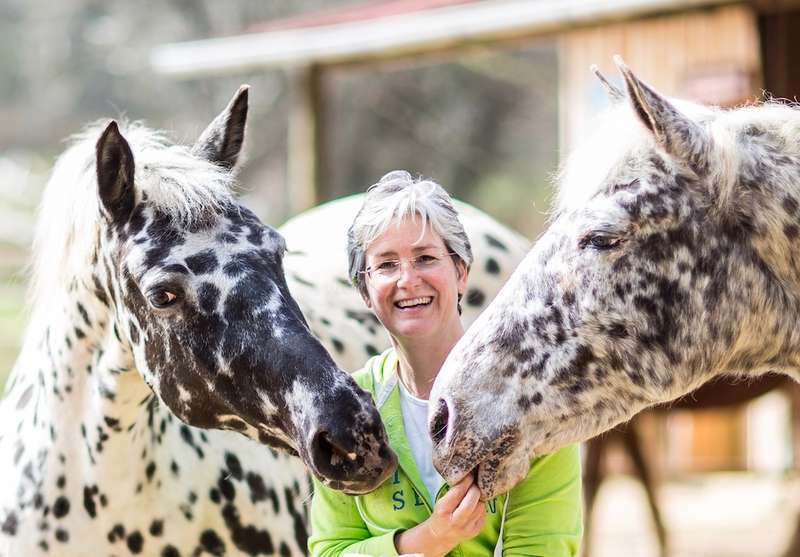 It was such a pleasure being around their horses, dogs, cats and chickens, because every… read more animal is so well cared for, happy and playful, even the "seniors" in the group. Most of my tasks focused on the horses, mainly keeping the stables and meadows clean. The pace was always relaxed and manageable. I learned a lot working under Sabrine's guidance and observing her interaction with the animals. She thinks deeply about their needs and constantly monitors and adjusts daily routines to support everyone optimally, including nutritional aspects and medical or alternative treatments. It was really impressive to observe this level of commitment and care. Sabrine and Thorsten are also very considerate of the needs of their workawayers, and they will make sure you have everything you need to feel comfortable. The food is delicious, and the meals and conversations together were a real pleasure. In addition, there is a nice guesthouse for workawayers to use, which allows for extra privacy and comfort. My two-week stay was an all-around wonderful experience, and I am very grateful to Sabrine and Thorsten for the opportunity to share their 'little paradise' for a while. I had a fantastic week at Sabrine and Thorsten´s little paradise in France. The place is idyllic and very well kept. Due to Sabrine´s utmost care, the animals are very happy and relaxed. It´s a joy to be around them and the work in the fresh air is a welcome change for someone who doesn´t normally live in the countryside. I loved the little cosy… read more cottage I had to myself and very much enjoyed Sabrine and Thorsten´s company over the lovely meals Sabrine created. They are fantastic hosts and within days it felt like being around old friends. Thank you so much for the chance to experience farm life with you. I stayed at Sabrine's for only 4 days but had a great time there. I was with another Workwayer and we had our own guest cabin, which was very peaceful and had a lovely outside area to sit and enjoy the sun. The work consisted of cleaning out the stables for 1-2 hours in the morning and then again in the evening. We also weeded the sand school for… read more a few hours before lunch and was great to see how much progress we made. The fresh food was great and I really enjoyed Sabrine's lovely homemade bread and pizza! Sabrine was very kind and it was clear how much she cares for all of her lovely animals by how happy they all are. I loved being around the 3 dogs and enjoyed watching the chickens roam around (especially watching the fluffy ones run and Hector walking!). It is great to see all of the animals getting along so well together and I enjoyed brushing the horses and getting to know them. In my stay I learnt a lot about horses, how to care for them and enjoyed seeing how they interact with each other. I miss hearing the sound of the frogs in the pond and the fresh countryside air! Thorsten was also very kind to drop Antonia and I at the airport on my final day on his way to work, so we could spend the day exploring Toulouse. I enjoyed my short stay and had a great experience – thank you for having me stay Sabrine and Thorsten! Best memories in France forever. Sabrine and Torsten are the loveliest hosts you can imagine. It may sounds silly to say that you felt like home on the first day, but that is exactly how it was. Apart from the fully equipped little sweet guesthouse, the atmosphere throughout the yard was very idyllic. the meals were, as well as the whole life, of… read more high quality and sustainability. furthermore very delicious. Shared thoughts and conversations helped expand one’s own horizon in different areas, which made the whole journey even more unforgettable. Torsten and Sabrine are very intelligent people and always open minded, what makes it very easy to talk. Personally, we were able to identify ourselves with both perfectly. Apart from the two human model personalities, there were a few other lovely characters to meet, the animals. We have never experienced animal love and animal understanding in the same way as on the farm - incredibly impressive. The tasks have always been a lot of fun and it was a pleasure to learn a lot of things from Sabrine. 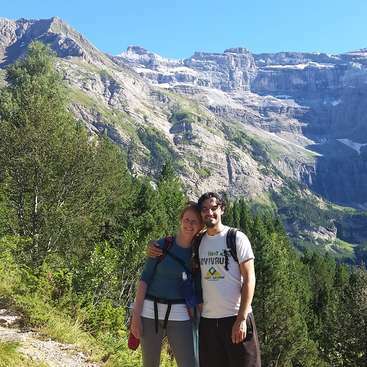 Thanks so much for your help during almost 3 weeks dear Joshino - it was a pleasure to host you! Nothing was too much for you, you have fulfilled every task. Joshino was always willing to volunteer for whatever task needing doing, and to take ownership of the task in hand. Always asking to help, even after the official working hours! It was… read more obvious she is a huge animal and nature lover. Wishing you all the best in far away Japan. I stayed almost 4 weeks, 2 weeks longer than originally planned, and I had a great time. The farm is a quiet haven with happy animals and nice people. The work was really not too hard: in the morning I was mucking out the stable for 2-3 hours and again 1-2 hours in the evening, when I also helped with the feeding of the horses. The afternoon I… read more had free and I spent a lot of that time brushing the horses. It was great getting to know all of the horses’ characters, observing their behaviour and seeing how much they enjoyed being brushed. 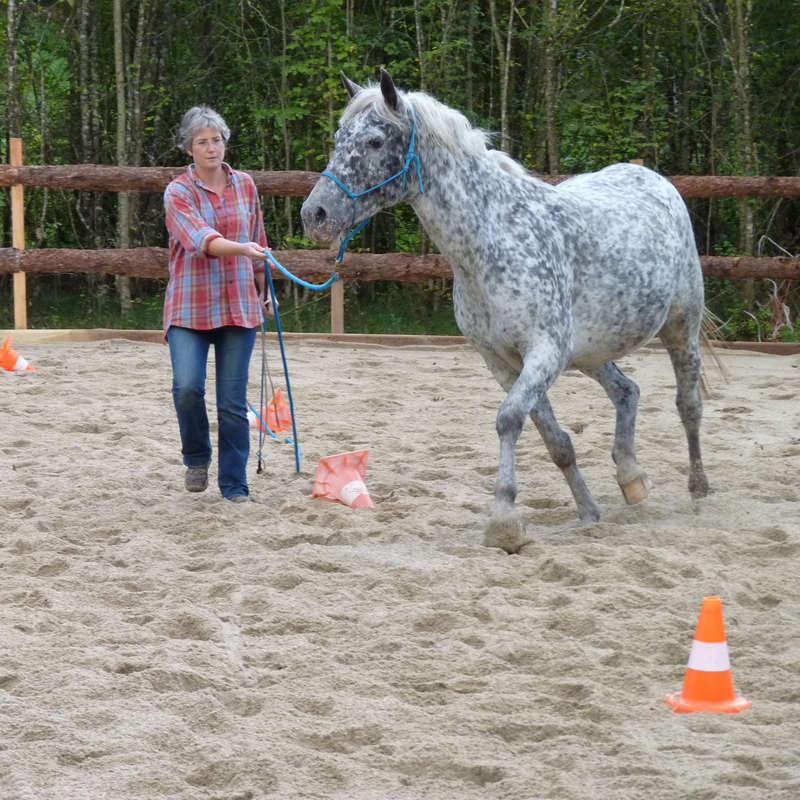 I also greatly appreciated that Sabrine let me practice the Parelli games with one of the horses in my free time. Sabrine knows a lot about horses and was always sharing her knowledge with me. The accommodation on the farm is very nice, in a separate small guest house, which has everything you need. 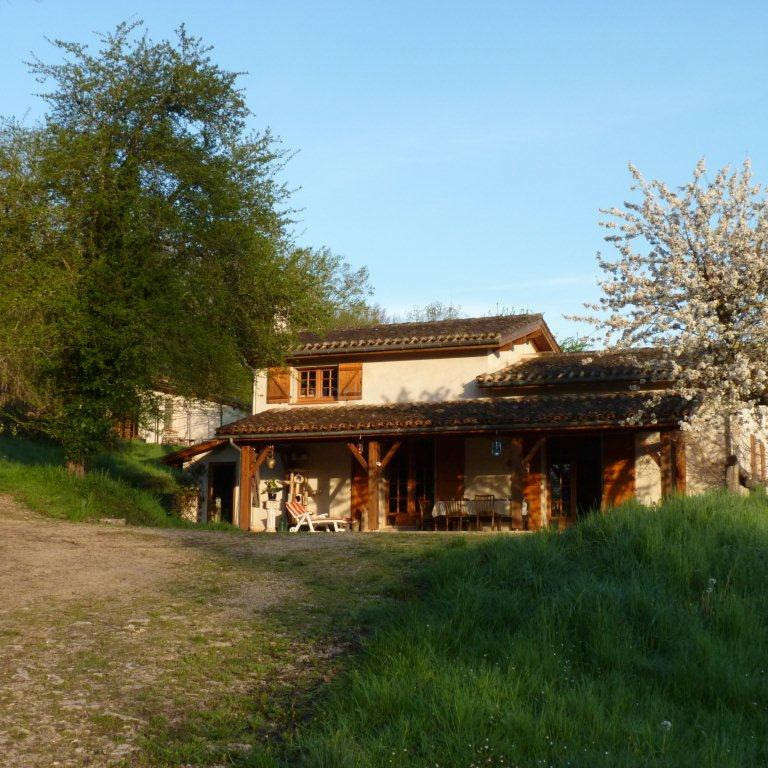 Lunch and dinner are prepared by Sabrine (amazing home-cooked bread, salads, Italian cusine …). Karsta was our first workawayer in 2018 and the year started perfectly. She is a very good worker who mastered every task quickly and efficiently. It was a pleasure to have her on our farm. I like her calm and thoughtful way of working. Thanks for you feedback Sabrine!! Both Sabrine and Thorsten are super nice and caring hosts. Respectful and very good cooks, I loved the pizzas and the italian food they loved to prepare. Thank you very much !!! I will definitely come back if I can :) Hasta prontoo! Teresita remained at the end one month with us and time passed very quickly with her. She was not only great company, but discrete, helpful, very kind, always in a good mood and easy to have around. Her work is very accurate and in depth. Just fitted in and got on with the tasks in hand, willing to help no matter what the task was. Thank you very… read more much Tere. All the best and come back any time! J'ai passé 4 semaines avec Sabrine et Thorsten, en septembre-octobre, un moment magnifique, si agréable et instructif ! Ce sont des hôtes extrêmement respectueux et attentifs, mais aussi chaleureux et sereins. Le gite où logent les volontaires est parfait, si coquet et pratique, les repas sont naturels, équilibrés et succulents, j'ai appris un tas… read more de recettes avec Sabrine comme la pâte à pizza pour des pizzas divines !! Et puis la ferme est nichée au milieu de la verdure, les oiseaux et les grenouilles sont les plus proches voisins ! 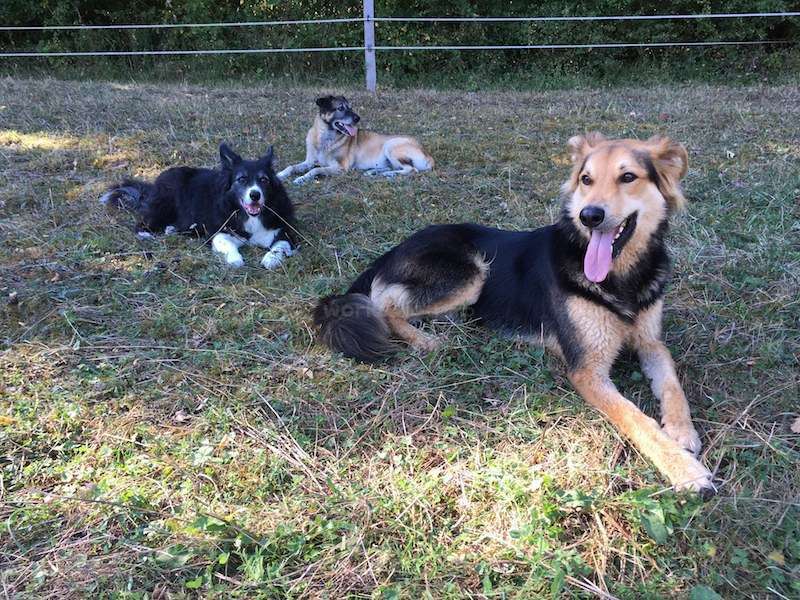 Et les chevaux, les chiens, les chats et les poules de la ferme font partie de la famille, un vrai bonheur ! J'ai énormément appris au contact de Sabrine, sa façon d'être à l'écoute des animaux pour comprendre ce dont ils ont besoin est impressionnante. J'ai même appris à "méditer" en ramassant le crottin, bref on a bien rigolé aussi !! Et puis côtoyer Danu, jeune étalon de 4 mois, était une chance incroyable. 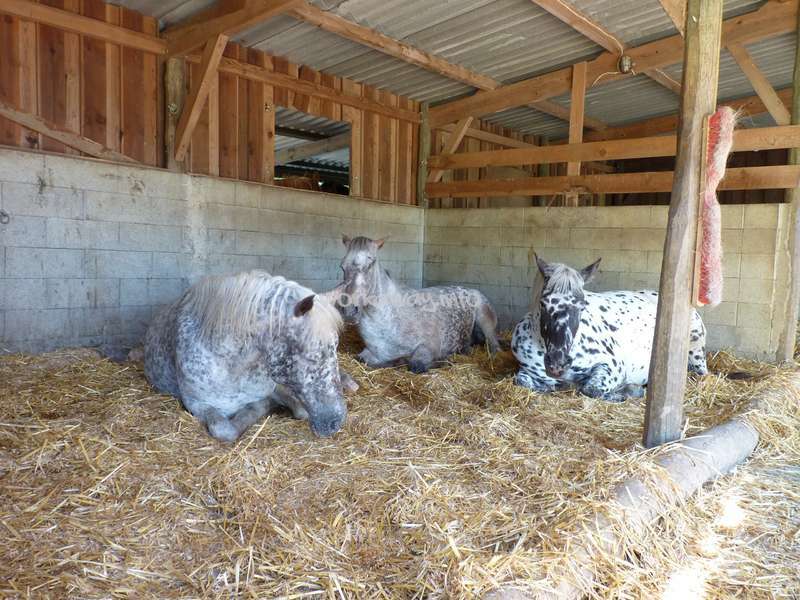 Ce séjour m'a permis de découvrir tout ce que Sabrine met en place au quotidien pour prendre soin de ses animaux, la praticienne shiatsu qui vient soulager les maux des chevaux âgés, le pareur qui suit les pieds des chevaux, la nourriture adaptée notamment pour garder en pleine forme des chevaux très âgés. Et j'ai pu faire des rencontres très inspirantes en partageant leur quotidien. Encore merci à Sabrine et Thorsten, vous restez dans mon coeur et à bientôt j'espère ! Carol is a bright, intelligent, high educated, young at heart woman, always willing to give a helping hand. She works hard and learns very quickly. No job was to difficult or too boring or too dirty. What we liked most, is that she was completely becoming one with our farm and all our animals. She never counted the hours - she saw the task which… read more had to be fulfilled. And in addition she always smiles and is in perfect mood! It is really a honor having her as our guest. We hope she will come back one day. Thank you Carol, we are missing you. Kyra has been a wonderful guest, interesting, helpful and cheerful. We have certainly enjoyed her company! On the work front, Kyra has been extremely valuable. She spent 2 weeks with us, and despite having to work a lot of the time alone she was always in a good mood - nothing was too much for her and she never counted the hours. To say that Sabrine and Thorsten are good hosts would be an understatement. I honestly have no idea how they manage to be that attentive and cheerful alongside all the daily work they do on the farm. Workawayers get to live in a pretty little guest house with all amenities and the possibility to really get involved in the farm life and spend a lot… read more of time with all the super-cool humans and animals. Sabrine and Thorsten really love all of their animals and I don't think I've ever seen happier horses (they are outside and live in a group all the time and really enjoy being cuddled by workawayers). The work consists of cleaning the stable and the meadows and then doing whatever is suitable for you (of course there's the possibility to work with the horses) and what other work is due -since it's a farm, there is never "nothing" to do, although there is definitely enough time for breaks -but as the tasks are really clear and the hosts will never not-work while you do it's easy to get involved and just finish everything & then enjoy a cold beer together. Sabrine included my opinion in her plans and schedule for the day, so I always had a good feeling about what I was doing and a lot of fun with the work. The days ended with delicious food (most of it out of their own garden), a glass of red wine and great company. I had countless cheerful conversations with Sabrine and Thorsten about society, travels, relationships, horse feeding and training and much more. It's a rural area, so you should be happy to spend most of your time on the farm -but did I already mention that's not a problem at all because everyone is so nice? Especially if you're used to being around horses you will adapt easily to the routines of the farm and enjoy every moment of your stay. I'm so happy I got to know this place and hope we'll keep in touch! Stephanie was with us for one week only which was defenitely too short! Stephanie, thank you again for your help and the Yoga session. What a great pleasure to have met you. I had a great week in this little paradise, surrounded bu nature, happy horses and sweet hosts. Thorsten and Sabrine are very nice persons and we had nice dinners together. There is a garden and they grow their own tomatoes, zucchini,... The place is very quiet and remote but it's such a good place to disconnect. If you are a nature lover, this is… read more a great place to be. The work was in the morning and was mainly to clean the stables, feed horses, take care of vet tasks, ... I hadn't the chance to ride much because I was only staying for a short period of time. However, it was summer and I had the chance to enjoy the terrasse and the swimming pool. Thanks again for hosting me in your little paradise and good vibes. This was my 6th workaway and I'm really afraid I can't top it! 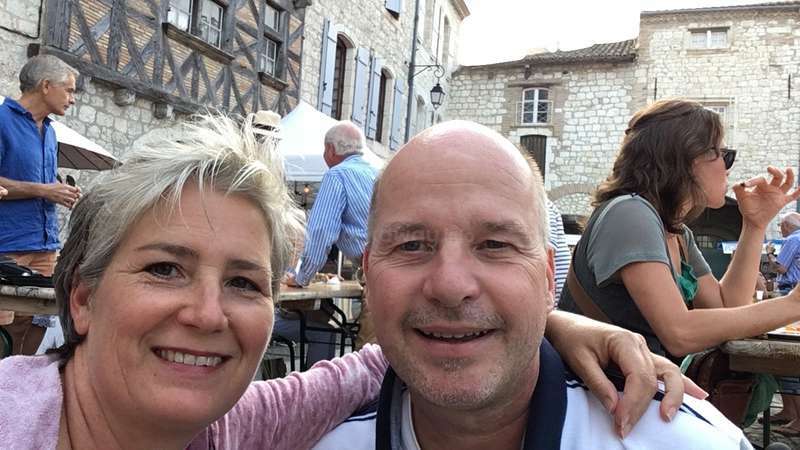 Sabrine and Thorsten are a great couple and they'll enjoy if you want to get involved in the real peaceful countryside life they have here. The property is beautiful and well kept in any aspect, i had never seen an horse place like this before. 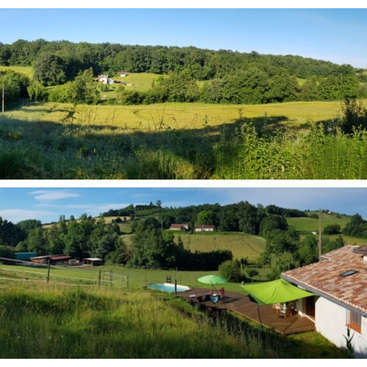 The volunteer(s) accommodation is in a… read more lovely independent gîte with any comfort and panoramic view of the surroundings. The atmosphere is very laid back and relaxing, everything is well planned and the volunteers usually work only in the morning! The work during my stay was mostly around horses but not hard at all. All the animals are sweet and well cared. The horses are just too easy to handle and really friendly with humans. 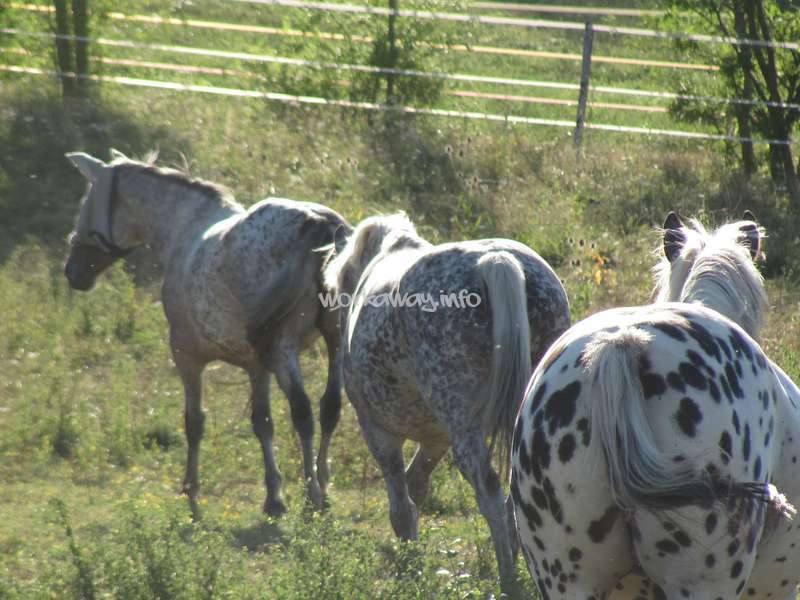 They are trained natural horsemanship and live outside in one herd, they are barefoot and worked/ridden bitless. Sabrine is also careful about the quality of the foods and some of the vegetables are from the garden. For nature lovers interested in learning about good horse management I highly recommend staying here. I wish I had planned to stay much longer. Thank you very much Sabrine, Thorsten, Lisa and all the four legged friends for my special time here! Eleonora stayed for about 10 days and immediately got stuck in helping with various projects. Ele joined in to Lisa who was alreday here for one week and the two young women sympatized and worked together hand in hand. 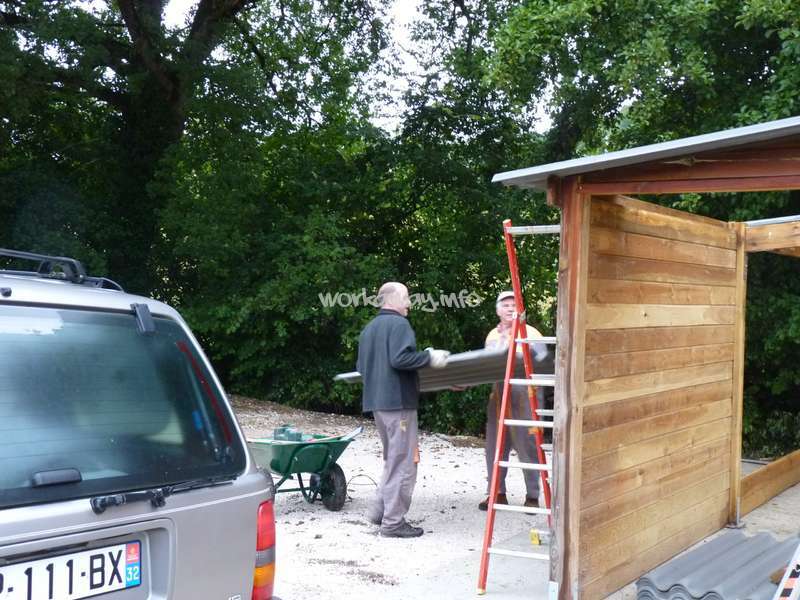 First they did the daily stable work in the morning and then they continued with different projects to work on like the painting… read more of the wood frames of the gîte and the house and the weed picking in the riding arena. Excellent job thank you! We all had a fabulous time with two very courteous young women who fitted perfectly with our routines. It was very interesting to listen to all your stories and the interesting discussions. Ele in addition was very much interested in all horses subjects and we had a great exchange of knowledge. Thank you very much for all your help Ele and please visit us again one day! Lisa stayed for a bit more than two weeks and immediately got stuck in helping with various projects. After one week Eleonore joined in and the two young women worked hand in hand. 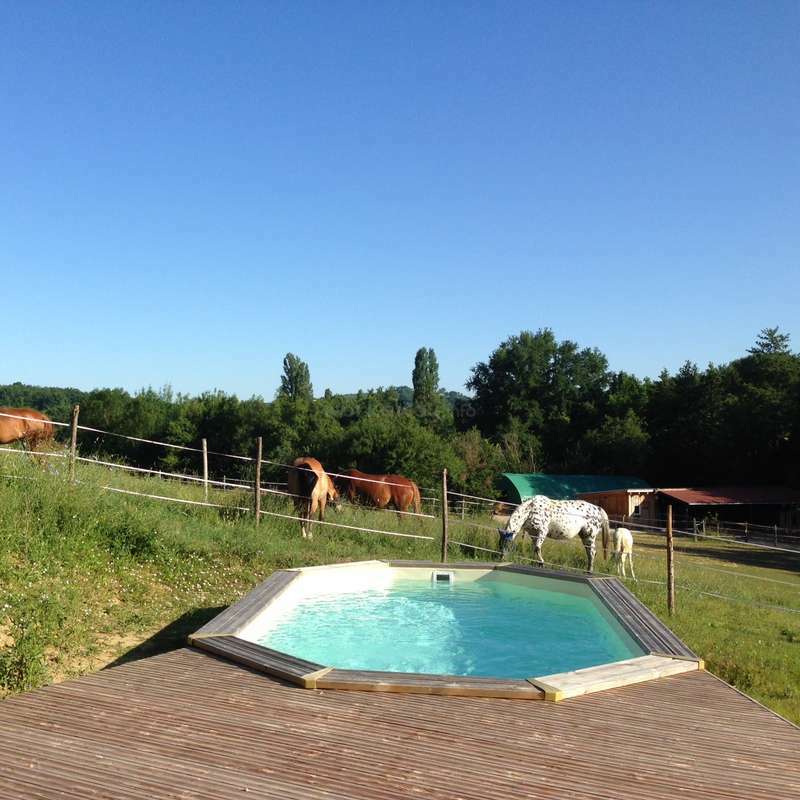 First they did the daily stable work in the morning and then they continued with different projects to work on like the painting of the wood frames of the gîte and the… read more house and the weed picking in the riding arena. Excellent job thank you! We all had a fabulous time with two very courteous young women who fitted perfectly with our routines. It was very interesting to listen to all your stories and the interesting discussions. We were also very pleased having you as our workawayer. Ika stayed a bit more than two weeks and fitted into life here very quickly, she is quite independent and work on her own. She is hard working with always a smile and ready to have a go at anything we suggested. This was a pleasure! We also enjoyed the talks in the evening after a lot of… read more phisically work - it was interesting to hear about her new ideas of the future... you have to update us about the progress! My time with Sabrine and Thorsten on their farm was wonderful. I was warmly welcomed and made feel at home from the moment I arrived. Sabrine and Thorsten are open, beautiful people and ideal hosts. 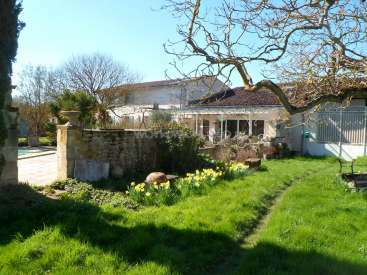 I got my own gite, close to the main house, with lots of privacy and very comfortable. Sabrine made sure I was very well fed, and I really appreciated… read more the drinks and great talks we had at the end of the day, early evening with a cold beer at the pool. The atmosphere was easy going and relaxed; when the days were warm we would start a little earlier in the morning, when the days were a bit grey and drizzly - yes this sometimes happens even in July in the South of France ;-)- we would start a little later. I loved all the animals on the farm: the cats, the dogs Lilah, Jocelyn, and off course Brisko, who always loves to ‘play ball’. I loved working outdoors in the fresh air, doing some physical work was really rewarding also because Sabrine would always thank me for my work, and it felt really great to receive this appreciation. Apart from helping out in the stables, I sanded and repainted the gite, and did some random cleaning jobs. Time flew by and I really felt I made new friends when I left after two weeks. Ruben helped out with a variety of jobs during his stay and excelled at all of them. A keen worker, happy to to get stuck into anything that needed doing, excellent in cleaning jobs and with a lot of self-discipline. He does all the work in a very calm way, what I really appreciated, this is very important around animals, not to be hectic. Very… read more good company, very interesting talks in the evening. He is very much to be recommended. Thank you Ruben for your contribution and all the best for you. The two weeks I spent with Sabrine (and Thorsten for a few days) just flew by. It started as a wonderful summer holiday with great hot days and a lot of sunshine before it turned into a more rainy grey time. But either way I enjoyed my time on the farm. The guesthouse is a lovely little house with everything you need, it definitely gives some… read more holiday feelings. The daily work was mostly outside and definitely manageable as Sabrine always made sure I was fine with my tasks. I also enjoyed the nice dinners were Sabrine made delicious vegan food. All in all I can only recommend this place and I wish you all the best and hope you'll get great new workawayers and I might be able to visit some day. We have loved having Katie staying with us at our home and working for us. From the beginning we had a wonderful relationship and a friendship that turned out and will last hopefuly for a long time. She is so warm, friendly and cheerful and has fitted into our farm with all the animals so easily. WOW. I feel so incredibly fortunate to have been able to spend time with Sabrine & Thorsten and all of their lovely animals. I felt this way every day of the 3-weeks I spent with them. I was warmly welcomed, and immediately made to feel at home, given my own guest cabin to stay in, which was treated extremely respectfully as my own private space.… read more It was lovely, clean, well-appointed (kitchen! bathroom! 2 bed areas! incredibly comfortable beds! wi-fi!! etc.). It was made clear to me that I could feel comfortable being in Sabrine & Thorsten's home as well, and welcomed to use their kitchen. I was so well fed, with Sabrine kindly considering my tastes and food requirements. Sabrine always prepared generous and healthy meals for me to share with her, and with her and Thorsten. And Thorsten made charming special brunches on the weekends. Sabrine and Thorsten are such a kind, intelligent, and happy couple--it was a sincere joy to get to share their lives with them for a while. They absilutely adore their home and their life there, and to be a brief part of that felt very special. They refer to their home, their farm, as a "paradise" and they have made it so. Their pleasure radiates from them, and makes spending time with them just delightful. All of Sabrine and Thorsten's animals (their horses, cats, dogs & chickens) are loved, respected, and incredibly well cared for. They are adored! I got to know them all, and learned so much more about chickens, and horses, about which I truly knew next-to-nothing before my visit. 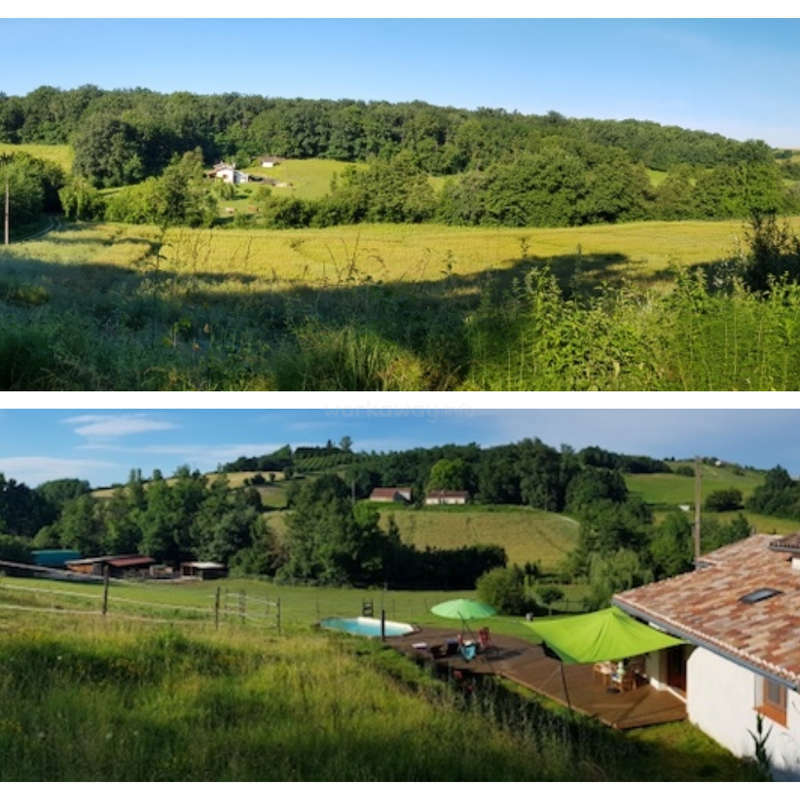 I came to Sabrine & Thorsten's hoping to do lots of outdoor, physical work, and I was rewarded by being able to help as much as I wanted, cleaning out stables, and with general tasks on the farm, which was what I was hoping for. Sabrine also worked hard to come up with work and jobs that she felt might interest and engage me. She was great to work for and with, able to be specific about her needs, and letting me know that she appreciated my work and that it was well done, which felt great. The farm is in a lovely area, with many surrounding woods that I was able to both walk and take runs in. Their air is incredible. The landscape gorgeous. I had such a wonderful time getting to know all of the animals, and learning more about their care. I am left so thankful for being so warmly received. For being included in their family, and being made to feel welcome and appreciated. This was a never-endingly delightful, wonderful experience. I miss everyone--Sabrine and Thorsten, Curly, Pipi, Hector, Maggie, Bertha, Mate, Chili, Bresgo, Leila, Jocelyn, Filou, Jara, Jette, Laika, Hilli, Viola, Junnee, Japaskin, Hercule, Tamana, and Jumaana. Thank you Nadia for finding me amongst so many choices of hosts. You are a more than excellent workawayer! Nadia did a huge amount of different work: all kind of horse keeping duties, dog training, cat cuddeling and taking care of the chickens ... but also cleaning, cooking, helping with whatever had be done. She works very independently and… read more she sees the work you don't have to ask for. Yes, we had great talks and I enjoyed learning about Italien cooking and medicin issues... and much more! I spent six weeks at this farm and I can only agree with the defintion of a 'little paradise'. Surrounded by a beautiful countryside with the company of a lovely tribe of friendly animals the place is an oasis of tranquillity and peace. 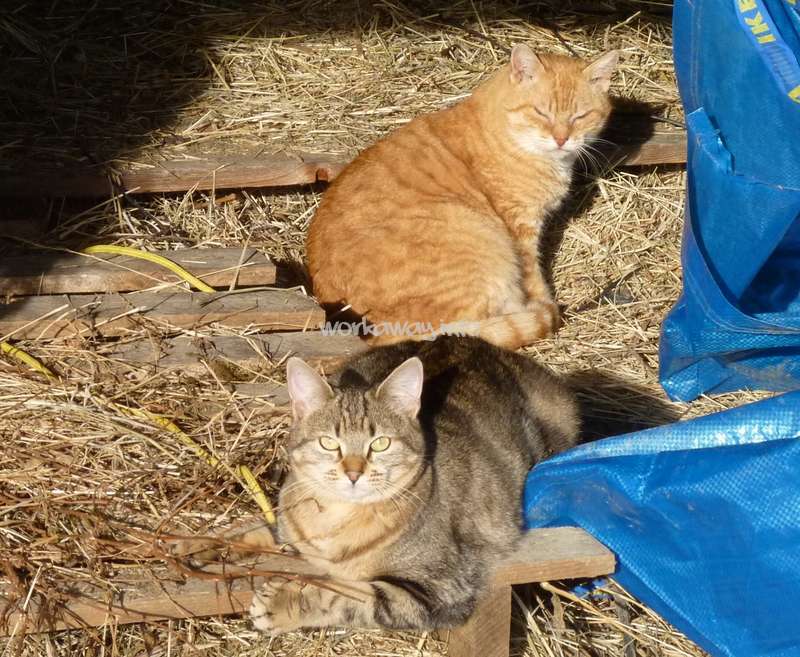 I helped out with the horse keeping and general farm work and the work was always pleasant and stress-free.… read more Sabrine and Thornsten are a really nice couple, very kind, generous and considerate. I found it really easy to get on with them and I enjoyed very much our conversations and our cooking together. Sabrine has a great knowledge on everything that regards horses and I learnt of lot on horses behaviour and horse keeping. I really had a great time there!